Most of the visitors around the globe, select Sri Lanka as their traveling destination to witness the rich cultural heritage of the nation. 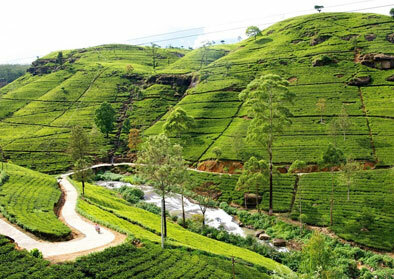 Leolands cultural tours in Sri Lanka cover all the aspects of cultural highlights in Sri Lanka. Negombo is a famous fishing village North of Colombo, with a Dutch built Canal. The canal itself is a hive of activity with all the fishermen travelling up and down in their gaily painted boats. One the shores of the canal you will find many homes and churches and many species of birds including spectacular Kingfishers and Parrots. Catamaran trips in the sea and boat trips in canal can be organized. 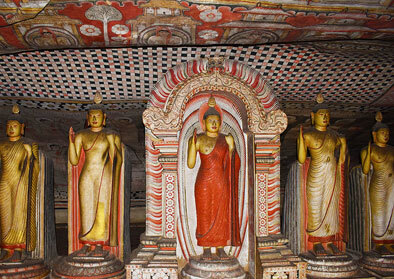 Mihintale - 8 miles from Anuradhapura is the Cradle of Buddhism in Sri Lanka. 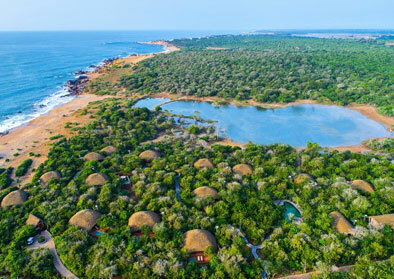 Mihintale is the first sanctuary in the world for Flora & Fauna declared in 247 B.C and is still a sanctuary. 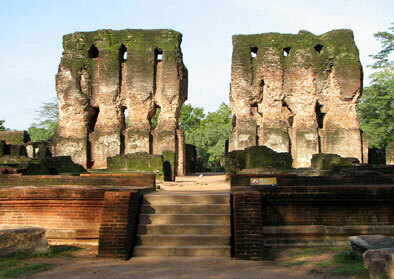 The King of Anuradhapura met the missiony Arahat Mahinda here, and the monument dates from 3rd C.B.C. 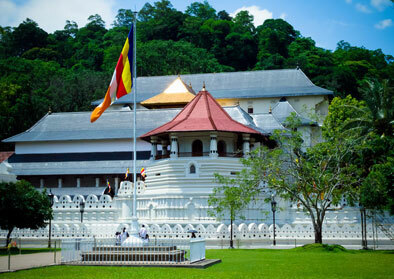 When you climb 1840 steps you see Ambastale Dagaba, Maha Seya, Kantaka Cetiya, Alms Hall, Hospital, Kaludiya Pokuna, Naga Pokuna and other monuments. Minneriya National Park - This area covers the former Minneriya - Giritale Sanctuary. About 200 Wild Elephants, Wild Buffaloes, Eild Boar, Spotted Deer, Sloth Bear, Sambhur, Leopards, Crocodiles, Lackals, 9 kinds of Amphibians, 25 kinds of Reptiles, 160 speices of Birds, 26 varietys of Fishes, 78 varieties of Butterflies are recorded from the Minneriya National sanctuary. Hakgala Botanical Gardens 9 kilo meters from Nuwara Eliya, below the Hakgala Peak and Strict Nature Reserve, in a 55 acre land, is the Hakgala Botanical Gardens. It is well laid with temperate and semi- temperate trees and plants, at an elevation of 5600ft. This garden was opened as an experimental station for Cinchona in 1860, for the production of quinine for Malaria. Famous for the well laid garden of Roses, and Tree ferns, with a beautiful summerhouse. Horton Plains The highest plateau at 7000ft (2134 meters) is a National Park, visited by tourists and a large number of Sri Lanka tourists. The Patnas in the lower parts, rising from the Marshes and streams extends up to the tree-line. The trees, stunted by the wind and mist, covered with Sphagnum moss or old mans beard, and the jungle is full of rare and endemic plants. The red flowered Rhododendrons, or the Niloos that blooms once in 12 years, and the Butterflies, Birds, found only in the hill areas, the Bear Monkey, large herds of Sambhur, Leopard and other animals are found in the plains. The World End and Little World End with sheer drops of 3000ft to the plantation below and the beautiful scenery, are not found anywhere else in the country. Kataragama Dedicated to God Skanda (Murugan for Hindus) a deity who came from India, married a local girl call Valli and lived here. He is treated by Hindus as the God of war. The annual festival is held during the month of July, culminating in the fire walking by large number of devotees and the water cutting ceremony. Here is a complex of temples dedicated to various Gods and deities; in the sacred area and large number of shops providing fruit offerings prepared to be purchased by devotees. Large crowds make the offerings in the morning, mid-day and evening. The girls working for the temple offering lights, and the ceremonies connected with the Pooja are interesting for visitors. Yala National Park 185 miles from Colombo. 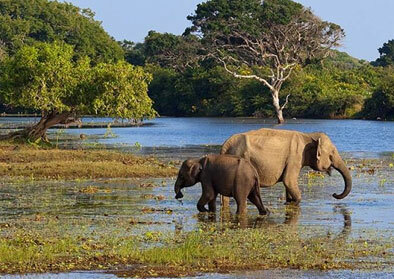 Yala National Park is 378 sq. miles in extent. Yala was established in 1938 from, what originally was a Sportsmans shooting reserve. This is the most famous and well developed National Park where wild animals and birds could be observed. The Wild animals include Elephants in herds of varying sizes, Leopards, Wild Boar, Wild Buffalo, Crocodiles, Peacocks, Jackal, Sloth Bear and other animals. After breakfast transfer to the Airport in time to connect the departure flight.